In spite of decades of research, education, and activism, violence against women persists across Canada and around the world. As one part of the ongoing struggle to end this violence, CRIAW is in the final stages of publishing a new fact sheet that defines violence against women, outlines its nature and causes, provides prevention strategies, and directs readers to key resources. It is currently the only publicly available Canadian material containing national data on specific aspects of violence against women from an intersectional perspective. Educators, unions, women’s organizations, social justice and faith-based groups, and concerned citizens can use the broad range of research that CRIAW has condensed and delivered in the fact sheet’s simplified format to reinforce existing knowledge about violence against women and improve strategies to end it. The factsheet is set to launch on Monday, September 16th. 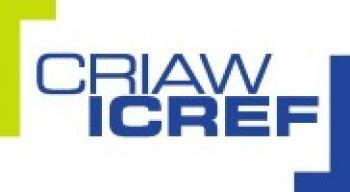 Watch for news of its release at www.criaw-icref.ca and on www.facebook.com/criaw.icref.